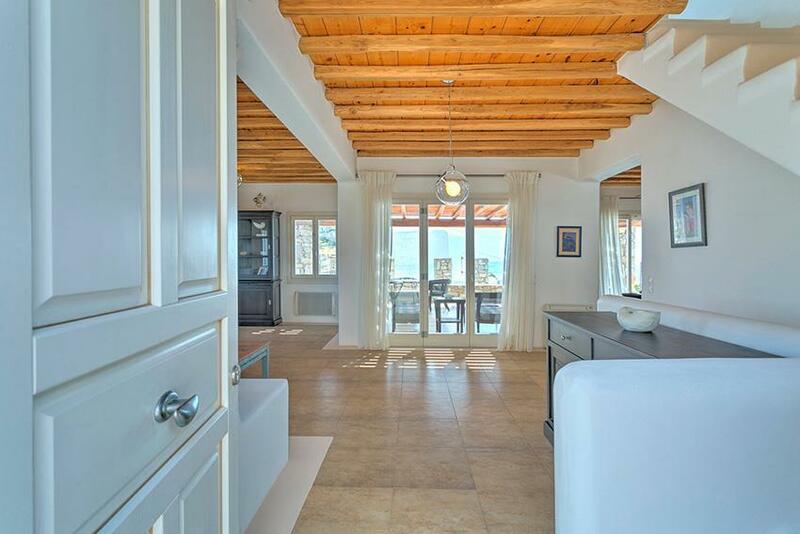 Take your family or group of friends and head to Villa Elina, in Agios Ioannis, in the southwestern part of Mykonos. 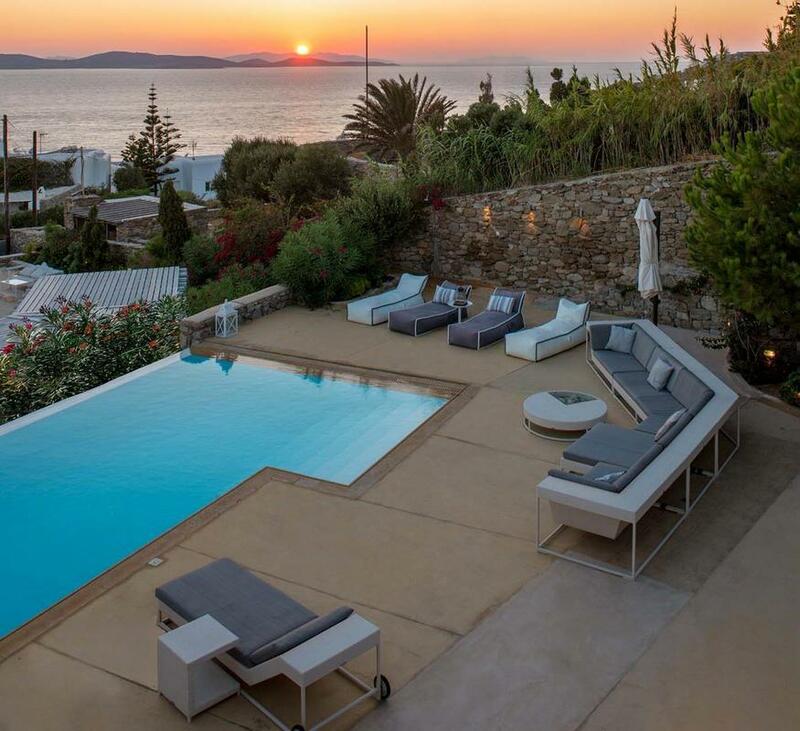 The infinity pool becomes one with the Aegean Sea and the view is superb for photos! 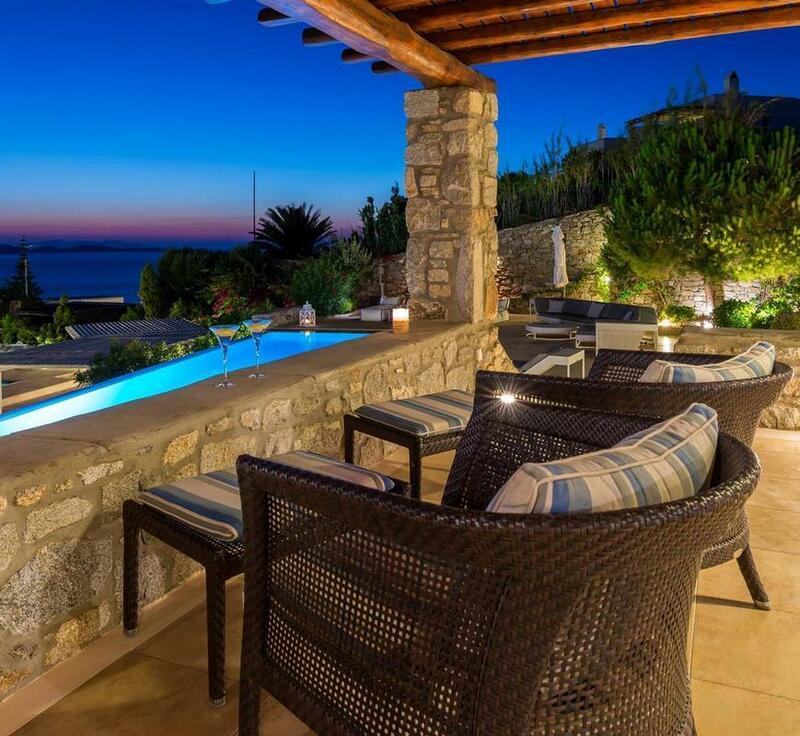 The villa combines total privacy and proximity to the best beaches; Agios Ioannis is only 850 m away. Loungers and sun beds around the pool are perfect for quiet stretching by the water. Pergolas and lounge areas of all kinds are also perfect for relaxation and alfresco dining. Take advantage of the BBQ and the bar for cool gastronomy experiences in the sunset. If you are not fond of cooking, you can book our experienced for a delicious Greek meal cooked only for you. Let’s go to the technology lovers’ stuff. Satellite TV, DVD/CD player, outdoor audio system and Bluetooth enabled waterproof sound system. And of course, WI-FI Internet access to share your photos with your jealous friends back home. 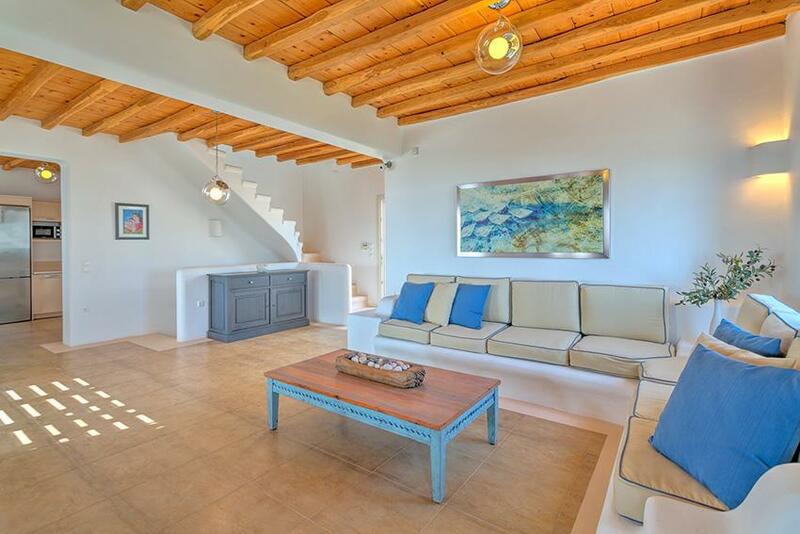 The cozy villa can sleep up to 11 people. 4 Master bedrooms with en-suite bathrooms and patios wait for you to relax. 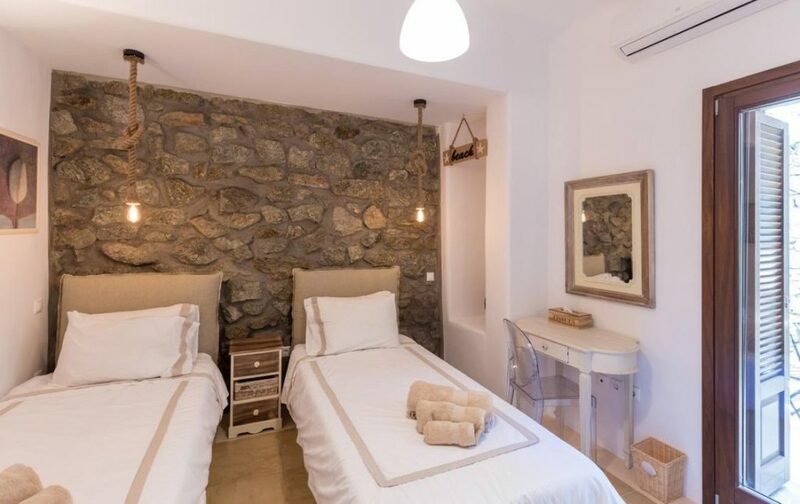 A single bedroom is perfect for a kid or live-in staff.